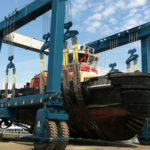 Port Used Small Travel Lift Boat Crane Is Light Duty Travel Lift! It Is Cheap Travel Lift, With Low Price Reliable Quality Best Choice For Small Boat! 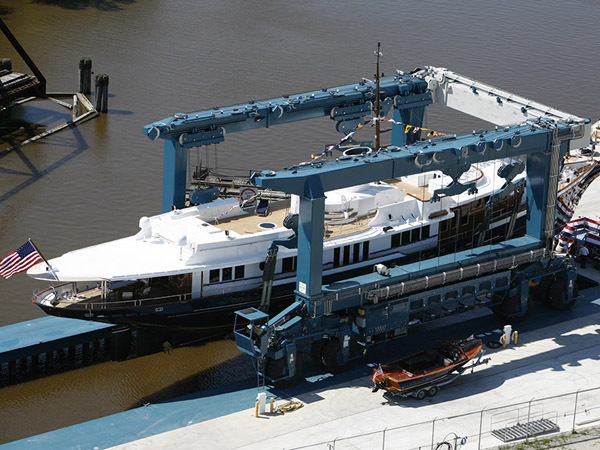 Port used small travel lift boat crane is kind of light duty boat hoist. With light weight, it is flexible to operate; with compact structure, it is fast to maintain; with 360 degree steering, it is flexible to move. 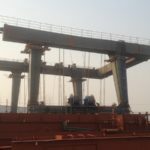 This kind of gantry crane is mainly used for lifting vessel from water and putting vessel into water. It can save much energy and increase efficiency. Small boat hoist is great choice for light duty and frequent work. 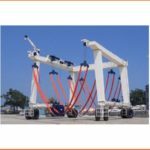 Ellsen Group, one of travel lift crane manufacturers in China, supplies great boat hoists for sale! 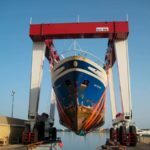 For lifting capacity, it includes light duty boat hoist for sale, such as 10 ton travel lift, 25 tons marine travel lift for sale, 50 ton boat hoist for sale, heavy duty boat hoist for sale, such as 200 ton marine travel lift for sale, 500 ton mobile boat lift gantry crane, 1000 ton vessel travel lift. 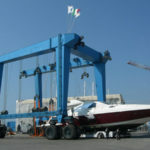 For applications, it has wharf travel lift, travel lift for water sport meetings, aquatic clubs and voyages. For operation ways, it includes remote control travel lift and cabin control travel lift. Ellsen, a famous and professional marine boat hoist manufacturer in China, provides great marine travel lifts with reasonable design, smooth operation and factory price! 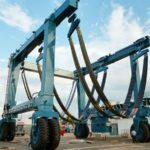 Where to buy suitable marine gantry crane? Purchase Ellsen mobile boat hoists now! 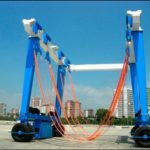 Small boat hoist has wide application, it has many advantages and can make boat- lifting work easier and safer. For price, small mobile travel lift is much cheaper than heavy duty travel lift. 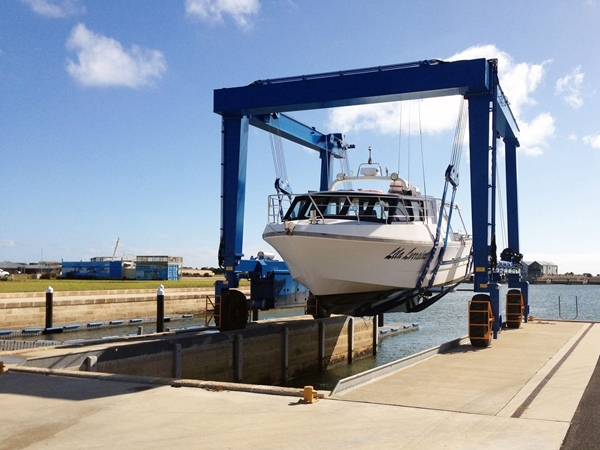 For light and small vessel, large boat hoist is not necessary, customers can choose small travel lift gantry crane. This can help save much cost. For convenience, small lift gantry crane has light weight, it is easy and flexible to move. Compact structure and terse system makes it easy to maintain and repair. This can save much time and energy.